Torino is an amazing, an often underrated city in Northern Italy, has all the attractions that any tourist visiting Northern Italy might want: Roman ruins, magnificent palaces, ancient treasures, the best chocolate in Italy, and the best wine in Italy. Things to do in Turin… Keep reading for more! This guide to the best things to do in Turin was written by Jacob who lived in Turin while he was a graduate student. He spent his time gallivanting around Turin with a colleague who lived in Turin long-term and made sure to show him the best parts of Turin! The Piazza Palazzo di Città is a smaller square that hosts different markets several times a week. This square in Turin is a great market to get all sorts of local products, including the wine directly from the producers. Turin is full of fantastic markets, so definitely put market browsing on your list of things to do in Turin! Some days, the entire market is devoted solely to wine. Other days, you might find a mix of locally made foodstuffs, ranging from cheese and sausage to jams and sweets, and importantly, pasta and gnocchi! There are also stands that specialize in small decorative items and objects that make great souvenirs. Since the market is aimed at locals, this is a good place to buy things which are more authentic and less kitschy. If you walk down Via Palazzo di Città, take note of the glass cases attached to columns lining the street. On display are many examples of risque art, sculpture, and pottery. It would seem that a thief had absconded with the instruments of Holy Communion from a French cathedral. He made his escape with the precious objects across the Italian border. He entered Torino with a donkey whose saddlebags contained the stolen items. Upon passing in front of the Basilica, the donkey suddenly collapsed and the contraband spilled across the cobblestones. Suddenly, they rose into the air and flew away. Legend maintains that they returned to the place from whence they were stolen. I replied that I believed every part of that story except the last bit. It was just easier to say that the items had flown off and disappeared rather than admitting they disappeared when every passerby bent down and pocketed one of the items. Another interesting Cathedral in Torino, just around the corner from the Basilica of Corpus Domini. The main star here is the dressed up skeleton on display in a glass case in the front. While the official line is that it is the body of some saint or martyr or something similar, a man in the employ of the church told me that it was really a random body. We’ll never know the truth properly. While there are several markets in Torino, including the lovely aforementioned Piazza Palazzo di Città, if you want to see a market that will blow your socks off, look no further than the Porta Palazzo, home to Europe’s largest open-air market. Turin’s largest market is held daily in the octagonal square Palazzo Della Republica, but often the market and the square itself are referred to by Porta Palazzo. This place is enormous with sections for fruits, vegetables, cheeses, meat, fish, flowers, spices, used goods, antiques, and clothing (and probably some I’m forgetting). 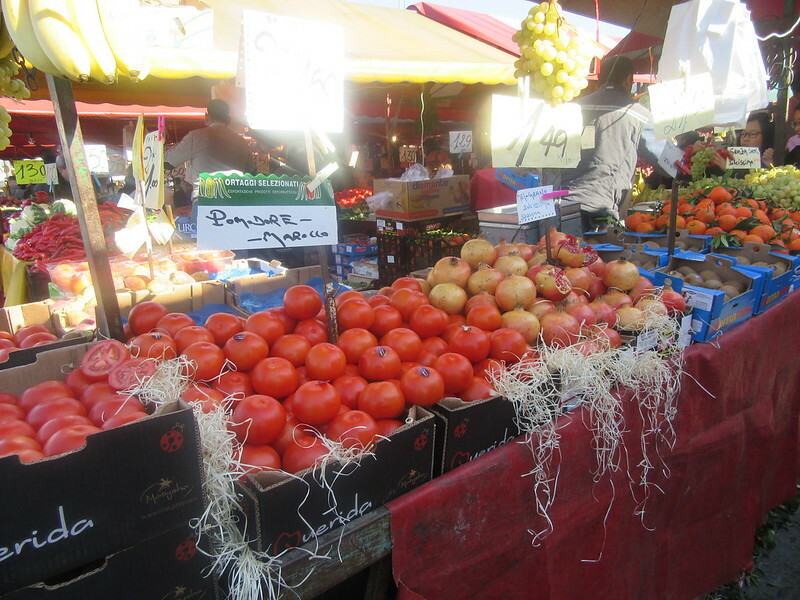 Many in Torino eschew the supermarket and buy their food and general goods at the Porta Palazzo, preferring the fresh, local, and considerably cheaper produce available there. Since it is held every day, it is certainly worth a visit. In the middle of Torino is an enormous public square. It is a popular place not only for the various establishments ringing it in, but also because of the number of events held there. This includes the annual Turin Jazz Festival, which involves several days of free open air music. In the middle of the square is the Palazzo Madama. The space was originally occupied by a gate in the times of the Roman empire, and the castle has been built on top, incorporating the Roman structure into its rear where it can be easily seen. Palazzo Madama’s name derives from its use as a residence of royal women, but has been a government building in many capacities over the years. You can visit this beautiful palace in Turin and it even has the Civic Museum of Ancient Art (including several hundred “fingers of Jesus”) inside. As a matter of trivia, a scene from The Italian Job was filmed on its main stairwells. 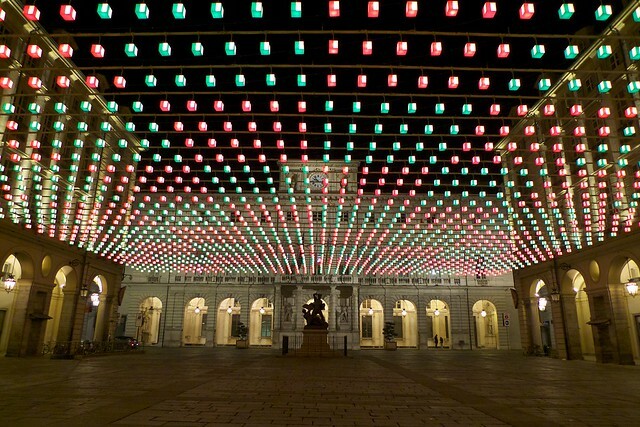 To one side of the Piazza Castello is the Royal Palace of Turin. To enter it one must pass through a magnificent gateway and then through two statues of rearing horses. This palace was the seat of power of the House of Savoy during their reign. It is now a museum, showing off the opulence of its original occupants. Arguably the most famous thing to see in Torino is housed in the Duomo: The Shroud of Turin. The Duomo is not on the square itself, but is on the other side of the Royal Palace. It is so close to the Royal Palace that one could be forgiven for thinking it was part of the same building. The Duomo in Turin has a Chapel of the Shroud inside where the Shroud of Turin is kept. Because constant exposure to light would destroy it, it is kept in an ornate box most of the time. The box is on display in a temperature controlled room and is a popular place for pious Christians to come and pray. On occasion, the shroud is unveiled. This draws enormous crowds, so one should make ample preparations if one wishes to see it. The building of the Duomo in Turin itself sits on the site of the ancient Roman theatre, whose ruins are still visible off to the side of the building. In fact, several churches have sat on this site, but the current one was built under the vision of one of the rulers of the Savoy family. 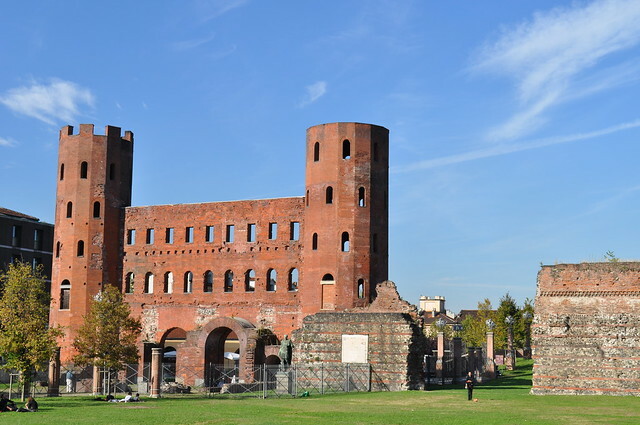 If one looks beyond the theatre, and across the Torri Palatine Archaeological Park, one can see the Porta Palatina: old Roman gates into the city are still standing. Photo Copyright: BigStockThe Palace of Vernaria (known as the Reggia di Vernaria Reale) is known as Italy’s Versailles. It predates Versailles, however it was the former royal residence of Duke Victor Amadeus II, the King of Sicily (for some time). Although the original gardens were lost to time, it’s classified as a UNESCO world heritage site in Italy and its gardens have been recreated according to some drawings. 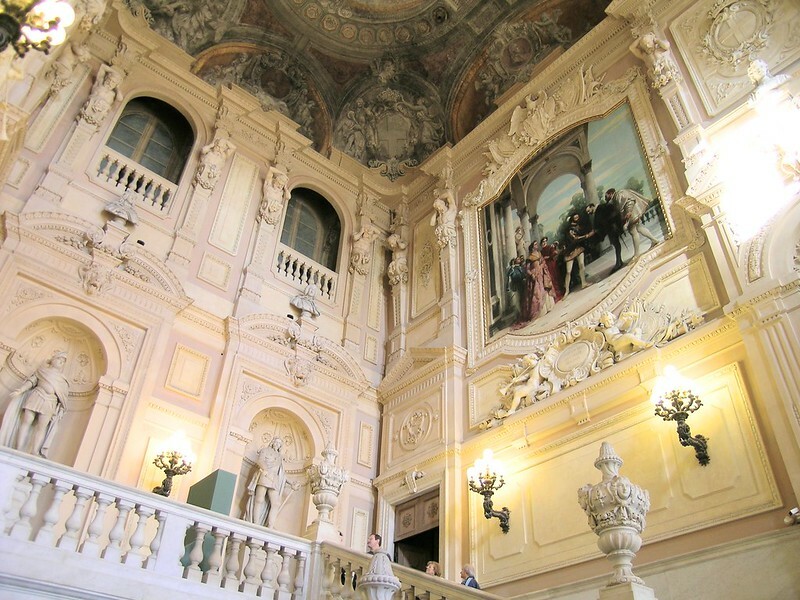 You will not want to miss the Galleria Grande, one of the most beautiful things to see in Turin. If one heads towards the Po River from Piazza Castello along the aptly named Via Po, one arrives at another popular square, the Piazza Vittorio Veneto. Another popular outdoor venue for music festivals and similar events (such as the aforementioned Jazz Festival), this is also a great hub for nightlife in Torino. There are a number of bars in and around the square, as well as good restaurants and clubs. This is also a favorite place to go have aperitivo, a tradition in Northern Italy. Aperitivo is a traditional late afternoon drink that is accompanied by a buffet included with the price of the drink. The next drink is generally cheaper. The price varies depending on the establishment as well as the selection, but it’s a great way to save money while in Turin. It’s best to time it to ensure that you get an hour of aperitivo! 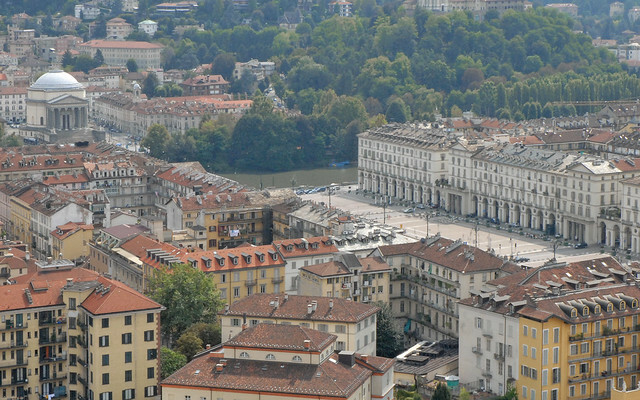 Although Torino lies close to the foot of the Alps, the city itself is incredibly flat, with one notable exception: Rising up over the city is a steep prominence atop which sits the Basilica di Superga. The Basilica di Superga was created as the personal church of the House of Savoy and placed in the most conspicuous location in Torino. To reach the basilica, one can take an old wooden trolley car up the steep slope of the hill. After pulling into the old station, one can continue walking up to the peak of the hill and the basilica itself. If you visit this famous basilica in Torino, you can see the royal apartments and gardens. One rooms houses portraits of every pope. There is also access to the roof where you can admire its cupola up close. Its main draw, however, are the crypts below that house the remains of the members of the House of Savoy. Some of the tombs were even installed in the 20th century. Skulls and statues fill this underground space, giving it an eerie feel. I still recall my first visit to the Basilica di Superga. Thick fog often rolls over Torino due to cold air coming in from the nearby Alps. The hill on which the basilica sits was cloaked in fog that day. I couldn’t see any of the spectacular view one has typically of Torino as my trolley creaked up the hill. It was only when I was within 10 feet of the massive structure was I even able to see it, suddenly materializing out the solid white surroundings. Yet it was still so tall, that I still couldn’t make out its cupola. As I went inside, the fog followed me. The halls were in a haze and when I descended into the crypt, the halls and rooms were choked in this unrelenting fog. It was truly otherworldly. It is this phenomenon, however, that lead to a tragic event on this hill. An airplane carrying a soccer team from Torino accidentally crashed into the hill, killing everyone on board. Torino is founded on the banks of the Po River and its largest and most beautiful park, Parco del Valentino, sits directly on the river bank. This is a popular park with the locals, especially in good weather. The park boasts some unique features. One is a “medieval village” built in the middle of the park. This isn’t an actual medieval village, but something a bit more intriguing. While I long believed that the romantic views of medieval Europe began sometime in the 20th century, in fact, this was already present in the 1800’s. Burgo Medieval: Copyright BigStockDuring a World Expo of some kind in the 1800’s, the city of Torino built a romanticized recreation of a medieval village, called Borgo Medieval, in the Parco del Valentino. The Burgo Medieval was very popular and has remained in the park to this day. 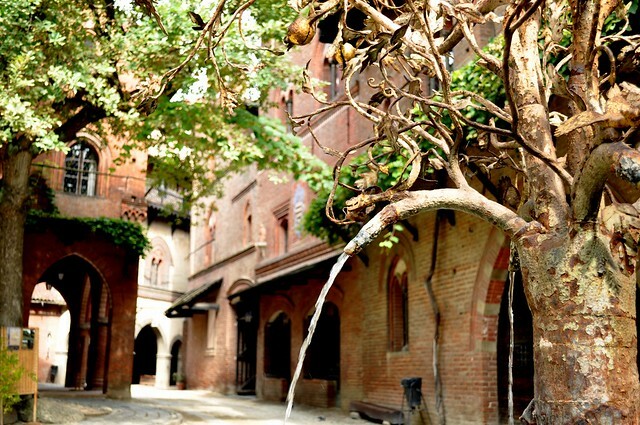 Luckily, it’s absolutely free to visit the Burgo Medieval, making it one of the best things to do in Turin for free. Also in the park is a beautiful fountain that is a popular quiet spot for people to relax and spend time with each other. Not far away is a grassy expanse that is the prime picnicking territory. However, if it is a Friday, there is no need to bring your own basket. Fluido is a bar on the banks of the Po that offers aperitivo. You can sit inside with a view of the water, or take your drink and food outside to sit on the grass and soak up the sunshine. When you need more food, just head back in. If you haven’t already fallen in love with Turin, you will. Directly across the Po from Parco del Valentino is a hill that can be climbed for a good view of the city. It also a beautiful walk in its own right. The hill eventually heads towards the Basilica di Superga, but that is best not walked (in fact, I’m not even sure it is possible). After the fall of the Napoleonic empire, Torino found itself in possession of Napoleon’s spoils of Egyptian plunder. Now independent again, a museum has been created to house these relics. 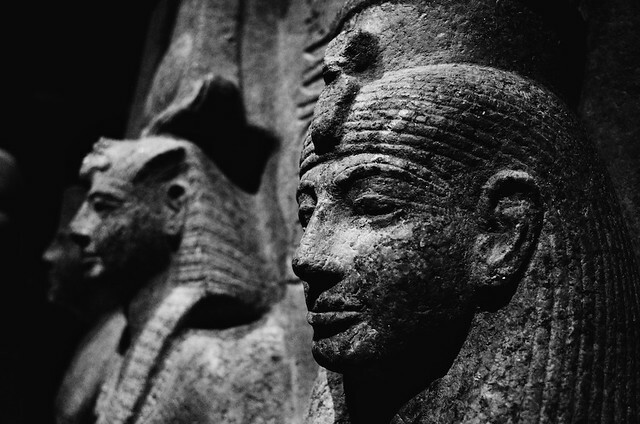 They are on display in Torino’s Egyptian Museum in the heart of the city. This is a massive structure and tower in Torino. It was originally meant to be a synagogue, but is now a museum of cinema. This reflects that fact the Torino was an epicenter of much Italian cinema. The museum is quite amazing, with reconstructions of the earliest theaters, enormous set pieces from various films, and props and costumes of others. One exhibition I attended featured all of the costumes worn by characters portrayed by the Oscar-winning actresses for the past two decades. In the upstairs, the museum also contains old projection and movie technology, exploring how we arrived at movies and cinema of the modern age. Like Milan with its famous arcades, you’ll find many beautiful historic arcades in Turin. There’s over 12 kilometers of arcades that are connected with another six kilometers of unconnected arcades, so get ready to get lost. 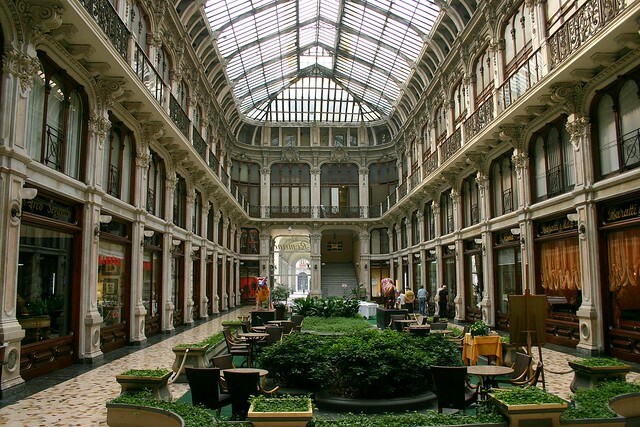 It’s also great for shopping in Turin, especially for luxury stores. Via Roma is home to the luxury shopping in Turin although you won’t want to miss Piazza San Carlo. You can begin walking along the Turin arcades close to the Turin train station. Especially in summer, the arcades are a sight in Turin not to missed due to the abundant shade. If you’re a chocolate lover, you won’t want to miss out on the Gianduja in Turin. This spread, the original Nutella, made with 30% hazelnut paste is the real deal. It dates back to the 1800s although chocolate lovers will also want to try the Gianduiotto, the namesake chocolate made with hazelnut pieces (a new idea then) and a paste of hazelnut/chocolate. My favorite chocolatier in Turin is Guido Gobino, known for their experimental chocolates in Turin! Chocolate lovers might also be curious about cremino, another local Piedmont chocolate also made with gianduja. Have you been to Turin? If not, what would you love to see?